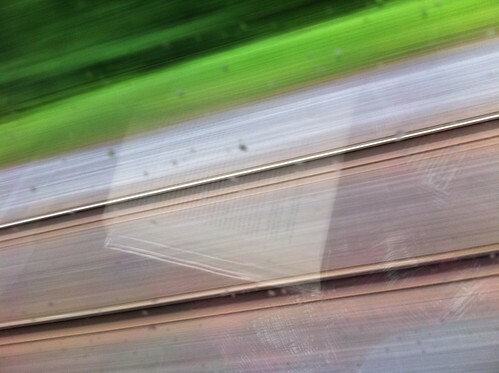 Last weekend I took the train from Toronto to Montreal. I hadn't been there for four years although it's only a five hour trip. The two cities are so different from each other - the short stay seemed like a real holiday. I was able to stay with my old friend Nicole who gave up her weekend to show me around. Thanks for everything, Nic! That's me, before the rain set in. 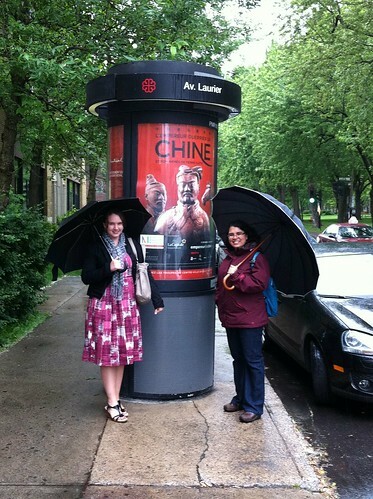 The main motivator behind visiting now was the Qin emperor and terracotta army exhibit on currently at the Musée des beaux-arts de Montréal. Although I was very interested in seeing it, I missed out when the exhibition was here in Toronto at the ROM. 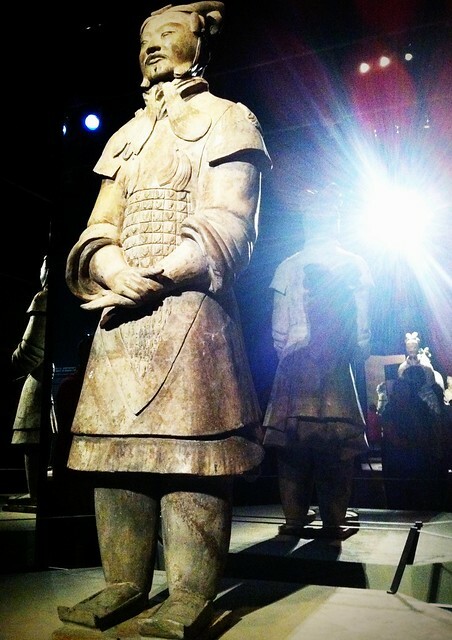 It was amazing to see a few of the real Qin dynasty terracotta warriors. 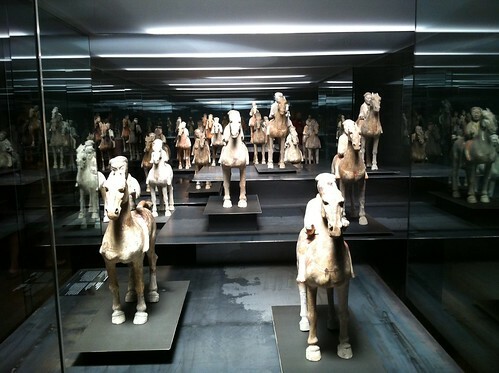 It's going to be a while before I can get myself to Xi'an to see the rest of them in situ. 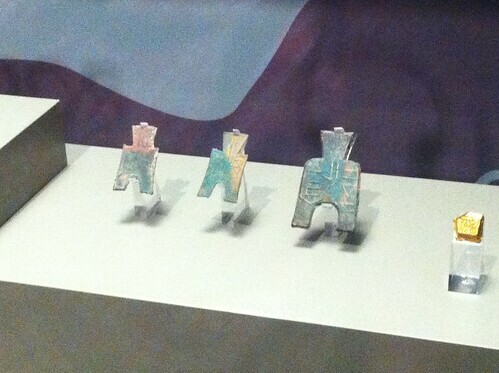 These are coins from Zhao and Wei states (Warring States period). 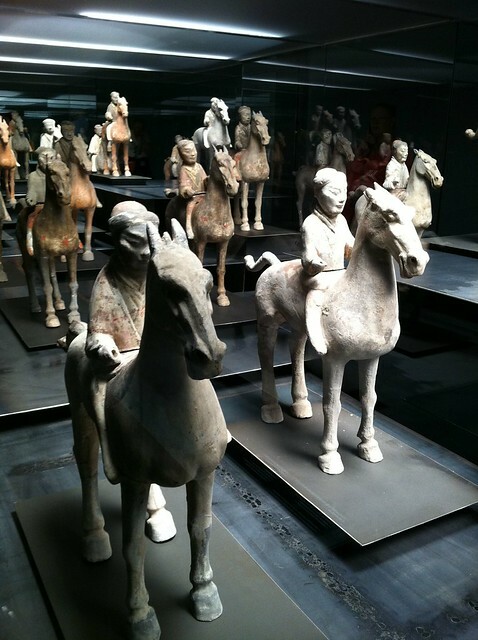 The later Han dynasty burials also had terracotta armies but they were not life-sized. 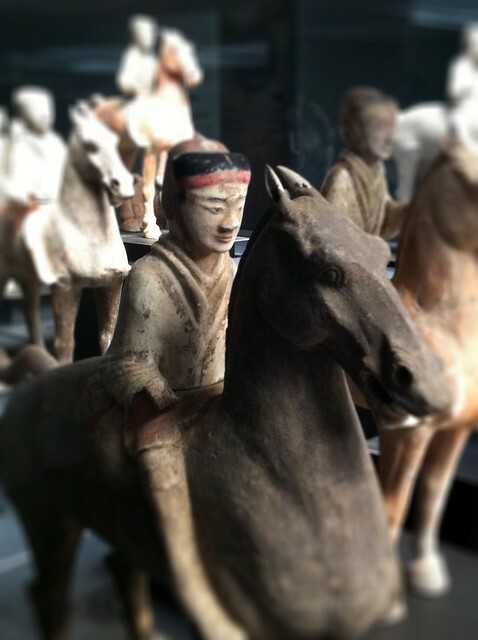 I really liked the exhibition because it clearly explained the origin of the Qin dynasty and because daily use items were included in the display along with the funerary sculptures. The life-sized terracotta men were the main attraction, of course. Their clothing, equipment and hairstyles are extremely detailed - fascinating! The rest of the weekend was mostly about eating and walking then eating again. 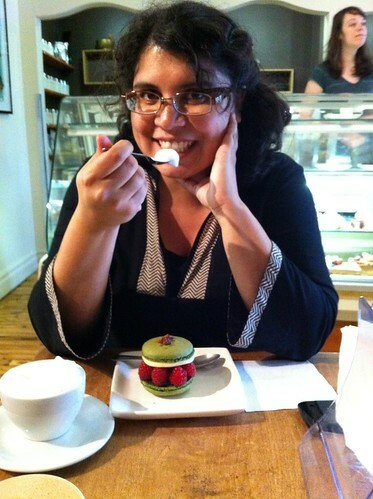 Nicole's favourite haunt is Fous Desserts (Dessert Fool). 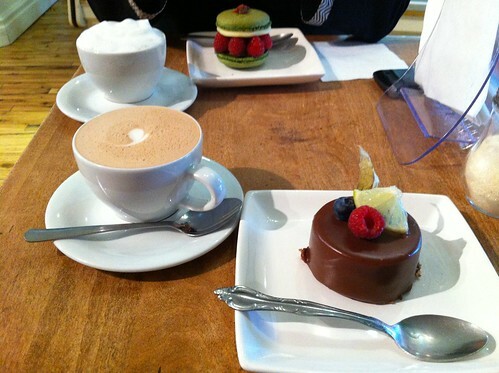 Check out her matcha and yuzu macaron cake there! The afternoon turned rainy and so we went back to Nicole's place to rest and watch that most stunning film 'Hero'. It's one of my favourite movies. 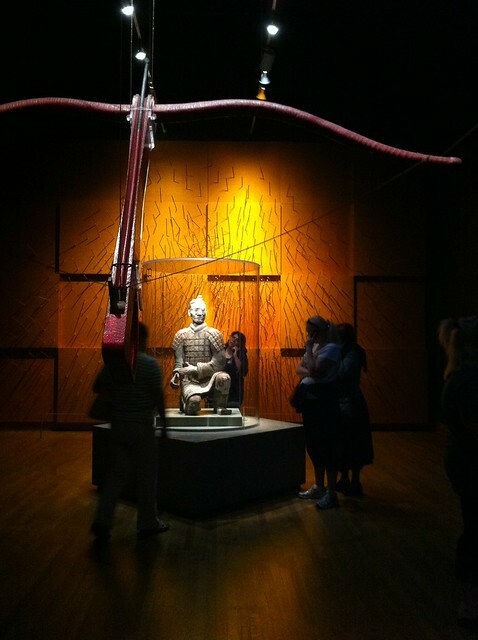 It was also incorporated into the exhibition because it is about the founding of the Qin dynasty. We were able to spot many of the elements of material culture copied from the archaeological finds (the costumes, weapons, chariots, hair styles, coins and so on). 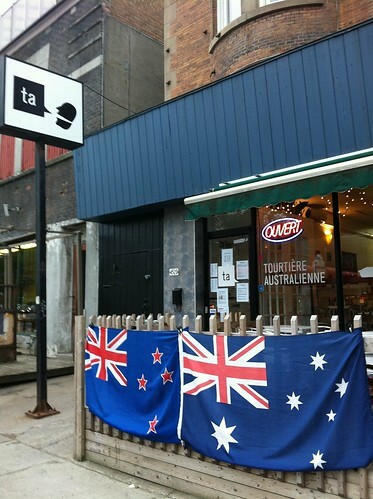 Later, we checked out an Aussie-style pie shop called "Tourtiere Australienne" or TA for short. 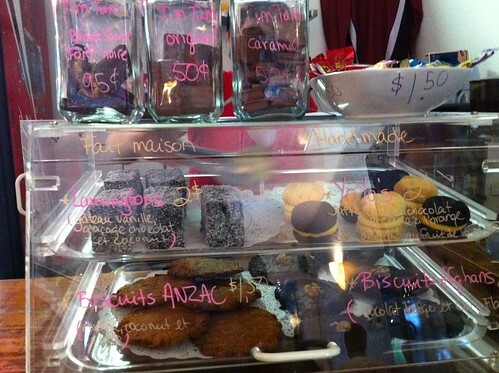 I could not believe all the Australian treats they had there, from yoyos and lamingtons to jars of Vegemite. The pies were extremely authentic, too. 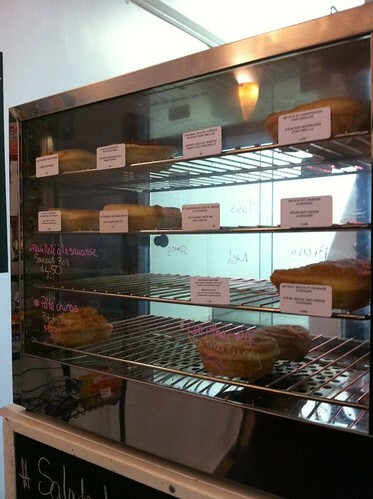 Why is there not one of these shops in Toronto? Much later in the night, we took a walk in the rain around Outremont as all the Hasidic men in fur hats were walking home. Sunday? OMG, more eating! 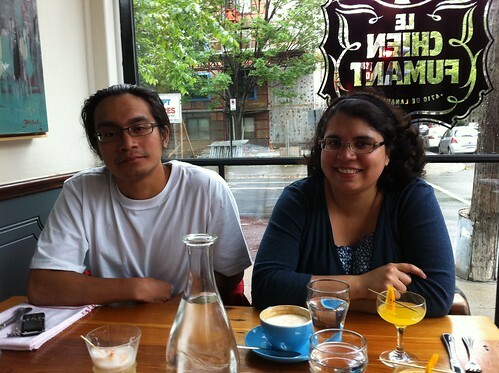 We met up with Raymond who is a friend of mine from U of T Kendo, way back in the day. He taught me how to fight scrappy and I never quite cleaned up my style after that. 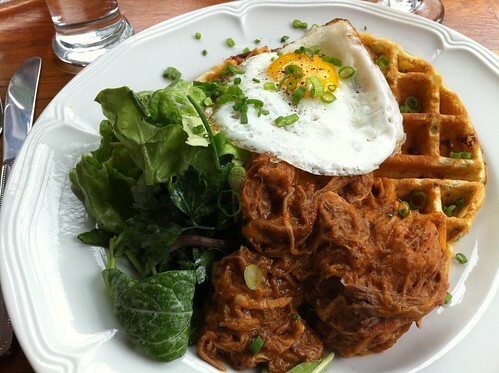 We went to Le Chien Fumant and dined on cheddar waffles with pulled pork. Ooof. It rained most of the day on Sunday. The Formula 1 race was the same day, also in Montreal, and there was a two hour rain delay. 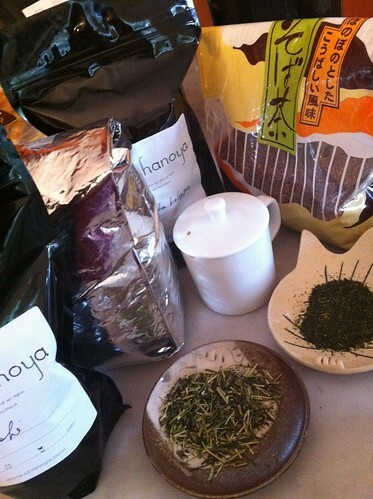 Later, we had a green tea tasting with Nicole's friend Hiroko who is a tea importer. 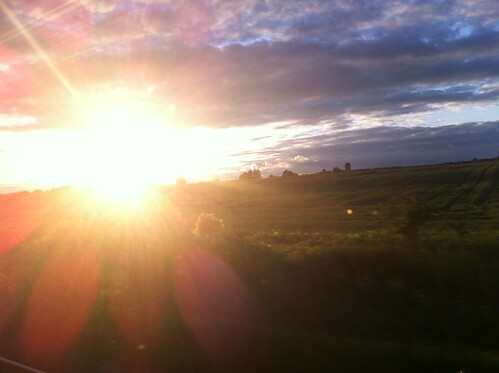 At 5:00, I was back on the train, headed west. With a good book in my lap (Colin Thubron's 'Shadow of the Silk Road'), the hours passed quickly. What a nice trip! I'm so glad you got to have some Aussie treats! 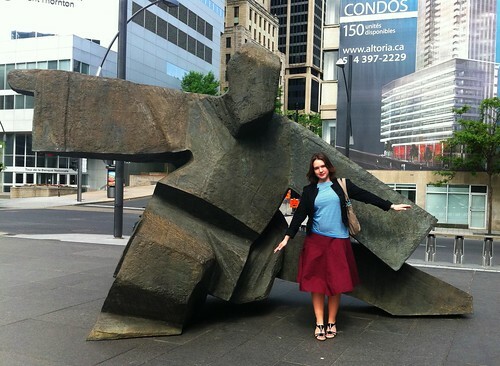 Those statues blow my mind - the magnitude of work that went into them! My mom and I each have a little mini one. Loved the Terra Cotta Army exhibit. I saw it in Toronto. The only negative was that it was so crowded it was a struggle to move around. The one in Montreal looks much more spacious! AKW, you should know from your worldly travels that Toronto is nice but pretty vanilla compared to other cities in the world. I agree with Kayla. The ROM exhibit was not as nice or well laid out. 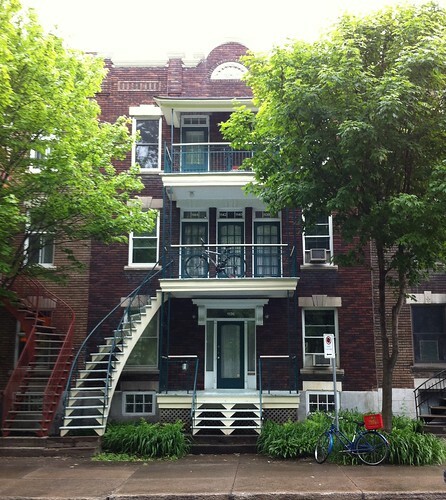 I visited Montreal only once and i like this city a lot, it is beautiful. I want to visit it soon, can`t wait. I was in Montreal two years ago, but unfortunately i was there only for three days, but i want to go there again to visit it better.